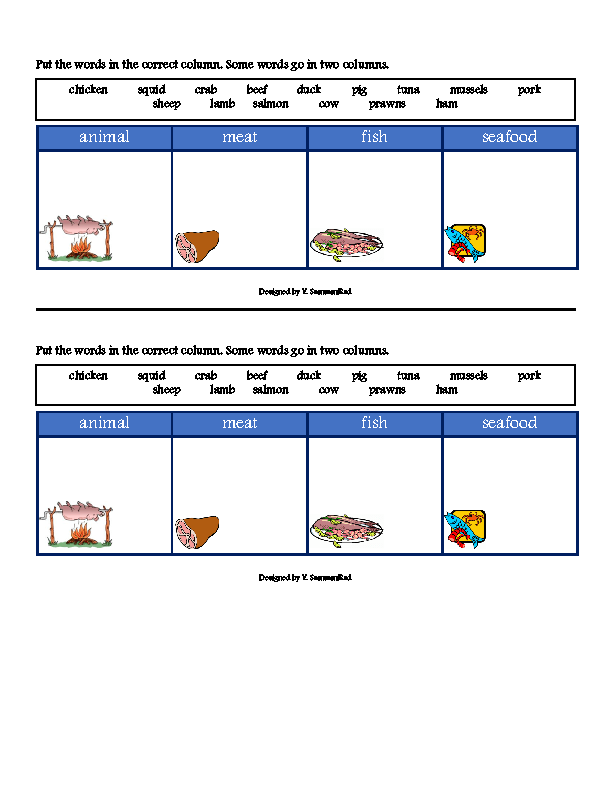 I have designed this PDF for reviewing some vocabulary items related to meat and fish including tuna, salmon, squid, pork, mussels, etc. 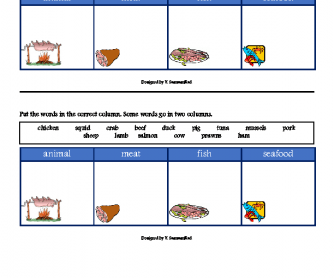 Have the students write the words in correct columns. Hope it works!